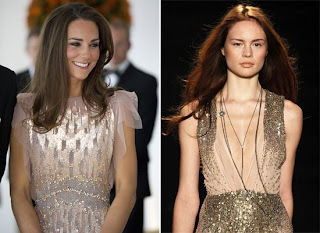 DianeClehane.com: THE ROYAL WATCH: Kate's a sell-out, Pippa isn't single & Michael Middleton for Father of the Year! THE ROYAL WATCH: Kate's a sell-out, Pippa isn't single & Michael Middleton for Father of the Year! I have to admit I didn't have high hopes for Finding Sarah, the six-part documentary on Sarah Ferguson's quest for personal redemption that premiered on OWN last Sunday, but boy, was I wrong. The first installment was absolutely riveting television as the Duchess of York laid bare of all her heartbreaking insecurities for the audience to see. Our fascination with all things royals made this a must-see if only to hear what little tidbits she might divulge about 'The Firm.' And, in fact, she did deliver when she talked (however briefly) about how she isn't in touch with Prince Charles and has been banished from the family's Christmas celebrations since the divorce. Sitting in the back of a chauffeured car eating "her sweets," she offered an insider-turned-outsider's tour around London, pointing to Buckingham Palace ("my old house") and sadly reminiscing about living there. Having thought what could possibly be left to learn about her struggles with her weight and self-esteem, her revelations about the emotional abuse she suffered at the hands of both parents was both sad and shocking. Even the requisite stunt casting which brought in Suze Orman and Dr. Phil to advise her felt raw and was riveting. The show left me rooting for the disgraced former duchess (who still won't admit to selling access to Prince Andrew despite being caught on film doing it -- but my money is on Dr. Phil for making her see the light). I, for one, am rooting for her. If you want to tune in the show airs on Sunday nights at 9 pm on OWN. And finally, since it's Father's Day, I'd like to nominate Michael Middleton for sweetest father of the year. 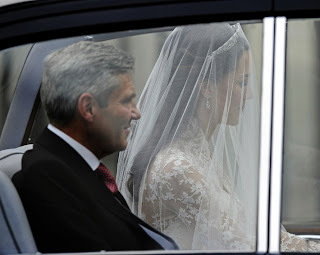 There were a lot of iconic images from the royal wedding but the ones that made me weep were those where he gallantly held Kate's hand for the long walk up the aisle and lovingly glanced over to her when they arrived at the altar. He is my all-time favorite 'Father of the Bride.' Those closest to the family have nothing but glowing things to say about the head of the Middleton clan citing his calm demeanor (which Kate apparently inherited), down to earth manner and quiet kindness as the qualities that make him who he is. Carole Middleton -- and the kids -- are lucky to have him. Happy Father's Day!